A: Oh, you don’t know? But did you know that you can take it to go? 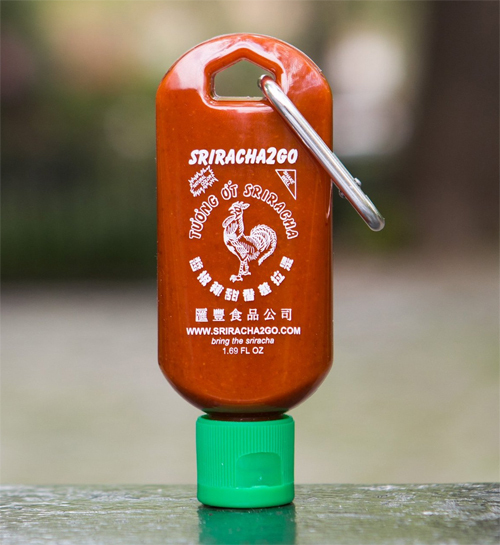 The Officially Licensed Sriracha2Go (Shipped Empty) container mimics the iconic large bottle, but adds a keychain. If you’re not eating Huy Fong Foods Sriracha with every meal, you simply are missing out. Don’t you wanna be cool? Well then, buy a three pack and share. Sneer optional.